It is easy to be swept away by enthusiasm at the fringe. I know I am guilty of it. I find it immensely touching that so many theatremakers have made the trek to Edinburgh with all the sacrifices that go along with it. But I am also intensely aware of those who are not here. Those who cannot be here, not because they are less canny, or smart, or clued up, or make work that is not as good as those who have managed to get here, but simply because there is no equality of opportunity. 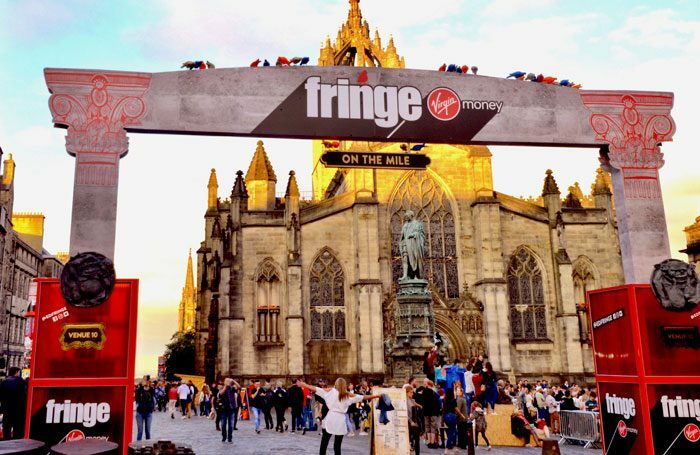 Nonetheless, as Richard Jordan said earlier in the week: “Open access fringe festivals are arguably today’s single-most important arts industry training ground”, and coming to the fringe undoubtedly offers the opportunity for artists to be seen by all parts of the industry. But that doesn’t relieve the responsibility of the industry – whether promoters, producers, programmers or critics – to see new work by artists unknown to them during the rest of the year. The fringe is not a way to assuage guilt about staying in your comfort zone for the other 338 days of the year. When travelling around the country between September and July, I’ve often been touched when companies have thanked me for making the effort to come to see them. But it’s my job, or, rather, it was my job until recently. I was paid a salary that allowed me to do it. In the same way, it is the job of producers to make the effort to see new work. Not just for one month of the year, when all the shows are in walking distance of each other, but for the other 11 too, so that those companies that cannot get to Edinburgh have a chance to get their work seen. Yes, it’s expensive, and yes, it’s time consuming. Of course, it feels easier to come to Edinburgh where it’s laid on a plate for you, but the work that makes it to Edinburgh is only the tip of an iceberg of exciting work being made around the country. The real question is how that work might be supported on a year-round basis, and the role of national portfolio organisations in that is more important than ever. Standstill funding and cuts in local authority spending on the arts are putting those NPO’s under pressure. But there is no point in them scrabbling to ensure their own survival if they are not actively involved in helping to birth the future. That means making relationships with companies and artists, supporting them by finding new models for touring, and giving them the money to make work. Yes, real money. Because all the free rehearsal space in the world is not enough to bridge the gaps between the have-somethings and the have-nothings. This was underlined by a piece in Arts Professional last week, that revealed NPOs, already in receipt of core funding, were also the major beneficiaries of lottery funding. In part this is explained by capital projects and the fact that NPOs may be best positioned and most able to deliver strategic programmes. But it’s not the whole story. Many of the companies on the fringe, and those who would like to be here, are entirely reliant for the rest of year on getting project funding, which until recently was called Grants for the Arts. Unless their applications are successful they simply cannot make work. We already know this kind of funding is under pressure. Even established companies are finding it harder to get the money they need to research and develop new work or tour shows that have already been made. The reason is now in stark black and white: the proportion of lottery funds available via open application to companies wanting to make shows is down from 77% of all lottery funding in 2010/11 to just 14% last year. This diversion of lottery expenditure may be for well–argued reasons, including core funding between 2018 and 2022 for new portfolio organisations. But put bluntly, it is a way of robbing Peter to pay Paul. My suspicion is that we may regret this when we discover that, in failing to nurture the saplings, we are left with a theatrical landscape populated by stunted trees.